The Travellers Gear Mod, adds in new slots in the menu GUI that allows you to customize and be creative with your character even more than before. 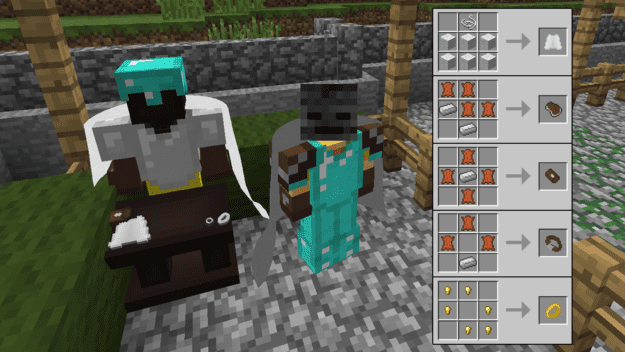 Rather than just having four slots for armour, the mod works in conjunction with any other mod that adds new wearable features to give you eight. The mod is compatible with Minecraft Forge. There is currently no public video showcase for the Travellers Gear Mod. The Traveller’s Gear mod works in conjunction with the Baubles mod as well as many others that contain extra items and accessories to improve your abilities and skills. It simply adds extra slots in your character inventory to fill with the desired items. All you have to do is open up the little book in the top left of your character screen in the inventory. This opens up your new slots to fill. Next, download the Travellers Gear Mod and drag and drop it into the .minecraft/mods folder of your Minecraft directory.